In July 2017, the Council on Foreign Relations’ Maurice R. Greenberg Center for Geoeconomic Studies held a workshop to examine the drivers behind digital protectionism in Asia and Europe, its implications on the U.S. economy and foreign policy, and policy responses to mitigate the problem. The workshop, hosted by then CFR Senior Fellow Jennifer M. Harris, was made possible by the support of the Carnegie Corporation of New York. The views described here are those of workshop participants only and are not CFR or Carnegie Corporation positions. The Council on Foreign Relations takes no institutional positions on policy issues and has no affiliation with the U.S. government. Digital protectionism in Asia (especially China) and Europe increasingly threatens the only area of cross-border economic activity still growing nearly a decade after the global financial crisis. Web censorship, forced transfer of intellectual property, data localization, and onerous privacy rules have combined to hamstring the development of the data-based digital economy—the commerce in virtual, not physical, goods. On July 20, 2017, CFR gathered more than two dozen current and former government officials, technology executives, economists, and trade lawyers at the half-day workshop “The Rise of Digital Protectionism: Implications for U.S. Interests and Possible Solutions,” in San Francisco, to examine these issues and explore options available to U.S. policymakers to counter the protectionist measures. China’s embrace of digital protectionism is just a page from its standard playbook, many participants said, meant to undercut foreign competitors and boost Chinese companies. President Xi Jinping has “stepped on the gas,” one workshop participant argued, making state control of the digital economy a “huge priority” for the Communist Party of China as it seeks to meet ambitious growth targets. The protectionism takes many forms: web censorship through the so-called great firewall, forced technology transfer through mandated joint ventures with foreign firms, and a new cyber security law that places onerous requirements on nearly every foreign company doing business in China. The requirements in the new law that data be physically housed in China, in particular, and limits to data flows out of China are akin, one participant said, to a “Roach Motel”: the data comes in but cannot get out. Participants suggested that two forces have driven the tougher new digital regulations. First, as it did in the past several decades with traditional industries, China seeks global dominance in several high-tech sectors projected to be at the forefront of growth in coming decades—artificial intelligence (AI), robotics, biotechnology, and autonomous vehicles, among others—and uses digital protectionism to carve out a privileged space for Chinese firms. Second, the Communist Party sees the free flow of data and digital communications as a threat to regime stability and seeks greater state control of data flows. The Communist Party sees the free flow of data and digital communications as a threat to regime stability. Such protectionism is neither new nor unique to China. But participants stressed that the sheer size and global importance of the Chinese economy makes Beijing’s “bare-knuckle” approach to digital protectionism problematic for U.S. policymakers. Some African countries are already replicating the mercantilist Chinese model, as evidenced by increasing government restrictions on the internet and data flows in Ethiopia, Nigeria, and South Africa. Meanwhile, Western countries and international firms have been loath to push back against Chinese restrictions for fear of losing access to the world’s largest economy by purchasing power parity. In recent years, the European Union (EU) has ramped up its digital protectionism, vowing to create a digital single market with Europe-wide rules on data flows, implementing rigorous privacy standards, cracking down on hate speech, policing social media, and challenging the market dominance of (predominantly American) technology firms. Participants noted that Europe’s digital protectionism is in line with Brussels’ legalistic, top-down, heavily regulated approach to economic policy and that, like other EU initiatives, it lacks a comprehensive appreciation of the interplay of privacy, security, and innovation in the digital economy. U.S. firms are asked to do more than European firms with respect to privacy protections, for example. These and other requirements, such as data localization in different member states, create a regulatory burden that is especially costly for small- and medium-sized tech firms. In recent years, the European Union has ramped up its digital protectionism. 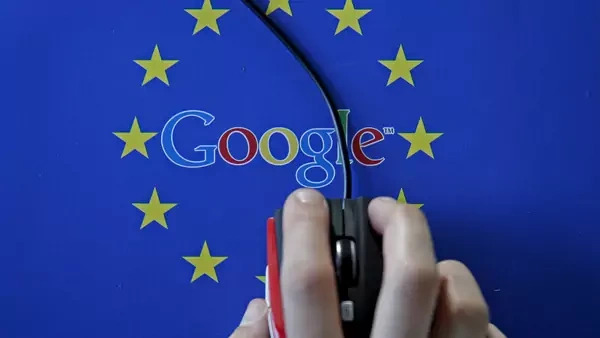 Many participants underscored what appears to be an anti-American bias in European digital regulation, pointing to high-profile antitrust cases and limits on American tech firms doing business there. But many attributed that to poor, not protectionist, policies. They argued that European policymakers, hostage to overlapping jurisdictions, are not equipped to tackle interrelated problems such as privacy, security, and economic innovation in a unified way and often introduce flawed policies based on a misunderstanding of what technology can actually do and what effects the policy actually has on businesses and consumers. Laws intended to rein in corporate titans often impose substantial compliance burdens that ironically hurt small tech firms while the Googles of the world easily meet those requirements. Despite the limitations brought about by Europe’s digital restrictions, participants largely agreed that Europe is more an irritant than a major threat and that the EU could help the United States push back against Chinese digital protectionism. Barriers to the free flow of data and digital information are consequential to the United States, participants said, because the global digital economy has quickly become a large part of cross-border trade flows. Participants estimated that cross-border data and digital flows account for between $2.8 trillion and $4 trillion of the $7 trillion to $15 trillion in total cross-border flows of goods and services. Moreover, although cross-border flows in traditional goods and services flatlined after the 2008 financial crisis, data and digital flows have continually grown, increasing eighty-fold since 2005. Participants noted that the digital economy is the sole part of globalization that is still proceeding apace and is more diffuse than traditional globalization, given the active role that smaller firms and smaller countries play. One participant argued that the digital economy is “shifting the nature of globalization,” by deepening cross-border trade in virtual goods even as growth in physical trade has been nearly stagnant. The digital economy is the sole part of globalization that is still proceeding apace. Digital protectionism does not just pose a risk to U.S. competitiveness in sectors at the center of the future economy, it also threatens traditional sectors such as manufacturing, energy, and agriculture. Participants noted that advanced manufacturing has a large and growing data component: 3-D printing and digital manufacturing, for example, rely on cross-border data flows as well as a data-intensive research and development program. Traditional sectors such as agriculture are seeing a growing role for data, for example, in biotechnology and the development of new strains of seeds. Likewise, extractive industries and the energy sector are being transformed to rely increasingly on data, from geological big data crunching that enabled the hydraulic fracturing revolution to global shipping that is becoming increasingly automated. In that sense, some participants suggested, China’s digital protectionism, while boosting its dominance of high-tech sectors, could backfire in other areas. The rise of big data across a growing number of sectors is helped by jurisdictions such as the United States that allow unfettered data flows. Europe’s tough privacy laws also discourage innovation among technology firms; data localization requirements push tech startups to American shores, where compliance costs are lower. China’s digital protectionism, while boosting its dominance of high-tech sectors, could backfire in other areas. One participant suggested differentiating and regulating data—from anonymous industrial data to regular user information, to extremely sensitive, personal information such as health records—according to its sensitivity. Maintaining cross-border data flows with few government restrictions will be important as the digital transformation plays out in traditional sectors. As one participant put it, networks matter: an economy that tries to insulate itself from global data flows by throwing up restrictions to cross-border data-sharing risks cutting itself off rather than protecting its national champions. 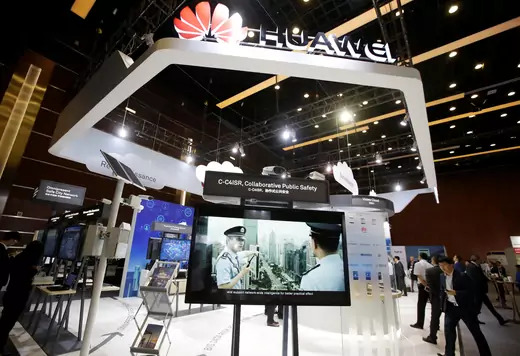 To the extent that Chinese digital protectionism gives Beijing an advantage in the global economy, it could also give China an advantage on the battlefield, some participants warned. The United States’ edge in military technology is threatened by concerted Chinese advances in areas that could enhance China’s cyber capabilities. Some participants warned that digital restrictions, especially Europe’s rigorous privacy protection, could make it harder for the United States to properly defend against national security threats, especially terrorism. While U.S. policymakers try to balance security, privacy, and economic concerns with digital regulation, Europe pursues each area of policymaking on its own separate track, which could have dire consequences for U.S. security. Other less obvious security concerns arise from the trend toward digital protectionism. Data localization in Russia, for example, forces U.S. firms to store data from Russian users on servers in that country, opening the possibility of digital reprisals from Moscow in the event of U.S. sanctions against Russia, such as happened after the invasion and annexation of Crimea. One participant characterized the “new constraints” that data localization placed on Washington’s ability to use economic sanctions as a foreign policy cudgel. Workshop participants agreed that the first order of business is to address the Donald J. Trump administration’s focus on traditional sectors of the economy and its corresponding lack of understanding of the scope of the threat from digital protectionism. One participant noted that the administration’s public discussions of trade policy favor goods over services and tangible cross-border flows over data. “We need to explain to a manufacturing-obsessed administration why it should care about digital and data,” one participant argued. Others suggested that the first step should be to educate policymakers about the linkages between the traditional and the digital economies and about how digital protectionism could affect U.S. economic prospects. U.S. government agencies also need to build a more coordinated approach to digital issues. The State Department and the National Security Council, for example, wall off digital innovation from cybersecurity issues, complicating interagency and intragovernmental coordination on data and digital policies more broadly. One participant recommended crafting an international charter that would set the basic rules for regulators on how to approach data mobility and security, akin to the early trade guidelines that bounded the General Agreement on Tariffs and Trade and eventually morphed into an accepted, global trade architecture. Even if such a charter failed to secure a consensus among the United States, China, and Europe, it would at least put competing tradeoffs on the table—privacy versus security versus innovation—and avoid policymaking that treated each as an isolated issue. Some participants suggested prioritizing data and digital issues in upcoming trade talks, whether in the North American Free Trade Agreement (NAFTA) renegotiation or the continuing talks between the United States and Europe about a free-trade pact. Older trade agreements such as NAFTA could be revised now to address digital issues that were not apparent twenty-five years ago. Other participants, however, doubted the appropriateness of trade talks for digital issues. Lobbies for traditional sectors such as steel and agriculture dominate trade discussions; tech firms are either unable or unwilling to do the same. Further, ambitious trade deals, such as the Trans-Pacific Partnership (TPP) and Transatlantic Trade and Investment Partnership (TTIP), which seek to better deal with data and digital trade, face problematic futures. Asian and Latin American countries are trying to salvage a shrunken TPP after the U.S. withdrawal, while TTIP is burdened by EU divides, Brexit, and a skeptical public attitude in the United States and Europe toward free trade. Other participants stressed that the U.S. government cannot tackle digital protectionism on its own. Many suggested that the Trump administration should work with the business community to strengthen its resistance to unreasonable digital oversight, since many firms—eager to dive into the Chinese market—acquiesce to restrictive digital regulations with little or no pushback. To get businesses on board, participants recommended modifying the Foreign Corrupt Practices Act (FCPA), which outlaws the transfer of money to foreign governments, and similar laws meant to prevent bribery and corruption by U.S. firms overseas. Expanding the concept of the FCPA to include in-kind handovers—such as data, access to networks, or veto over the ultimate use of corporate data—could force companies to stop accepting onerous digital rules. The U.S. government cannot tackle digital protectionism on its own. Several participants, noting that timid U.S. government responses to Chinese protectionism in the past had ultimately encouraged such behavior, urged a tougher line. They suggested using the World Trade Organization to tackle digital protectionism, starting with smaller countries to set precedents before taking aim at Chinese abuses, or retaliating using trade authority under U.S. domestic law. Other participants pointed to additional elements of U.S. leverage, such as access to the U.S. market. Reforming the Committee on Foreign Investment in the United States, for example, to more closely scrutinize and, if needed, block potentially sensitive foreign investment in digital technology, could nudge China toward more reciprocal behavior. Yet others recommended a more aggressive use of export controls, which would hurt China’s current acquisition spree and could ultimately drive concessions on digital protectionism.